This article describes a gang of robbers known for violent entries of businesses wearing masks and waving handguns. They put cocked guns to people’s heads in brute force to accomplish their mission. The Smoke Shop owner was lucky but let’s face it — not too many people would be able to do what he did. What if he didn’t have a gun? What if he hadn’t seen them coming until they were inside? Even if the Smoke Shop owner had locked the doors the robbers would have smashed through the glass in one second–just like the Newtown shooter– and would have immediately been on top of the people inside. They would have no time to react. But there is a way of giving them that precious advantage of time. Armor Glass security film would stop them cold–IF the doors were locked (automatically or manually) before they got inside. It “armors the glass” so it becomes a barrier, giving people inside the building time — to take cover, call 911, grab a gun — all of the above. 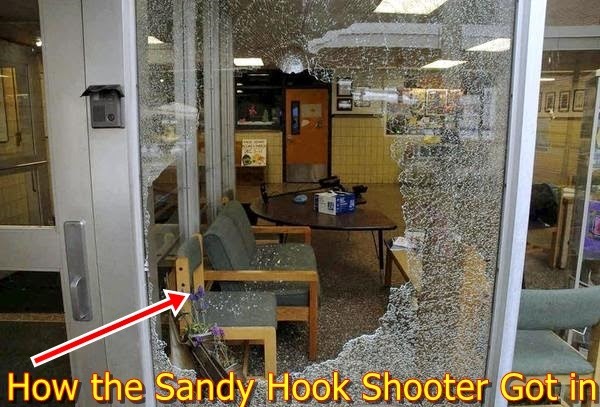 It keeps them separated from the thugs on the outside, even if they were shooting at the glass, only to discover that all they can do is make small holes in the glass the same size as the bullets –too small for them to get through if the door is locked. If they stand there trying to shoot holes big enough for them to enter, they will run out of bullets and need to reload. Glass has never been a problem before, so they are confused. The police have more time to come and engage. People inside have more time to take cover and protect themselves. It’s the first time in 5,000 years that we have “armored our glass.” Until then, don’t throw stones at glass palaces. Let us protect your castle.